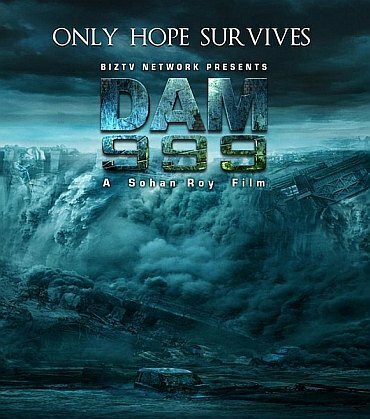 Debutante filmmaker Sohan Roy, whose film Dam 999 has triggered a political storm in Tamil Nadu, on Wednesday moved the Supreme Court seeking removal of the ban on his movie in the state. "I filed a petition in the Supreme Court on Wednesday but since I was late, my petition was not reviewed by the court. I expect a hearing in a day or two," Roy told mediapersons. The director said his film is primarily a love story with a backdrop of dam collapse and the ban on his movie came as a surprise to him. "I was expecting controversies but I never thought misunderstandings would lead to the ban. I am left with no other choice because it is a violation of fundamental rights. We have challenged it in the SC and have full faith that the decision will be in our favour. "When the Censor Board has passed it without any cut then who are they to impose a ban on it." Roy, who earlier made a documentary DAMs  the lethal water bombs on Mullaperiyar dam, said the film has no similarity with his documentary. "I made a documentary to expose the contentious issue of Mullaperiyar dam. But Dam 999 is a fictional story. Tamil Nadu government has perhaps watched this film of mine and they decided themselves that Dam 999 is based on that documentary. "The movie has nothing do with that documentary. It's basically a love story on the backdrop of the condition of various old-age dams in India," he said. Roy, who stays in an area near the Mullaperiyar dam, says he decided to make a film on dams four years ago. "I was just like any Keralite, who is residing near the dam without knowing the real danger. If the dam collapses it can threaten the lives of 3.5 million people. I read this article and researched more about the issue. I found India has 64 dams which pose the same threat. I decided to make a film that will highlight the condition of these dams," said the director, a naval engineer by profession. His movie is banned in Tamil Nadu but it may soon enjoy a tax free status in his home state. Roy said Kerala Government has asked him to submit an application in this regard. "The Kerala government has taken a position in favour of the movie. State Water Resources Minister P J Joseph has asked me to submit an application to make it tax free in the state," Roy said. The director is currently working on a script which will highlight the issue of Somalia Pirates.